Under the authority of the managing Director for stations and programmes he helps, organizes and contributes in valorising the offer of the group in a transversal approach. To do this, he acts at the same time at the programming, producing and editorial content levels, together with internal staff, external partners and operators in the music industry. After a degree from ESCOM (School of audiovisual communication) in 1991 Hervé Riesen began to work at Europe 2 in December 1990 before he was invloved to create the station of the Swiss network Couleur 3 in France. In October 1997, he began work at Le Mouv’ (Mouv’ today) then France Inter, in February 2000, as music programmer. 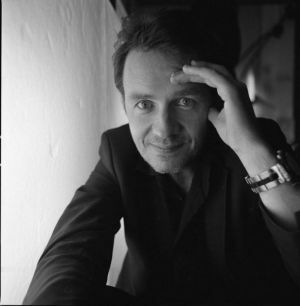 In November 2007, Hervé Riesen joined Couleur 3 in Switzerland before he was appointed manager of the music programming unit of the four stations at RSR: La 1ère, Couleur 3, Option Musique and World Radio Switzerland. In that position he implemented and developed the programme competence and inter-channels convergence. He was appointed Director of the youth national channel « Le Mouv’ » in 2008, a position he filled until 2011 before he became deputy Director of the delegate Direction for International Affairs at Radio France. He developped many collaborations between public broadcasters in Europe and Africa . Hervé Riesen is currently President of the “Eurosonic” group at the European Broadcasting Union (EBU) and Vice-president Europe at the International Radio and Television Union (URTI).